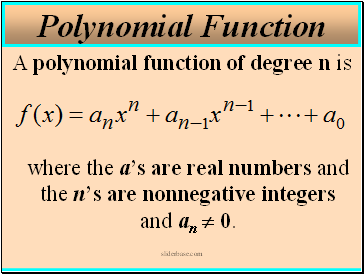 A polynomial function of degree n is where the a’s are real numbers and the n’s are nonnegative integers and an  0. 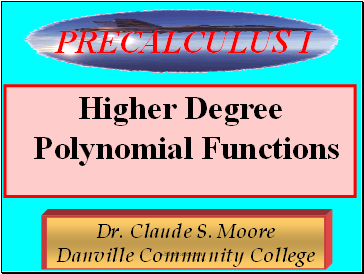 A polynomial function of degree 2 is called a quadratic function. 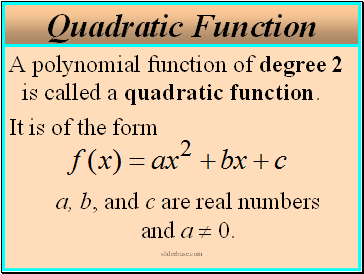 It is of the form a, b, and c are real numbers and a  0. 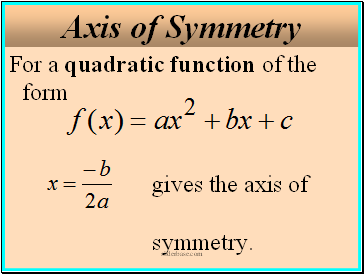 For a quadratic function of the form gives the axis of symmetry. 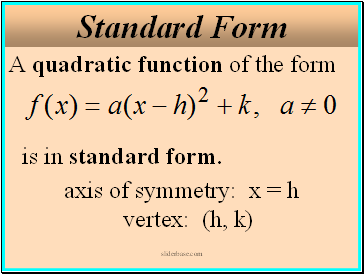 A quadratic function of the form is in standard form. 2. Has smooth, rounded turns. 3. For n even, both sides go same way. 4. 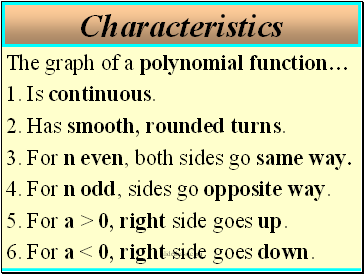 For n odd, sides go opposite way. 5. For a > 0, right side goes up. 6. 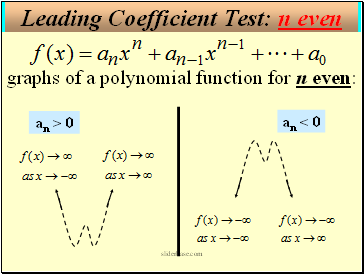 For a < 0, right side goes down. 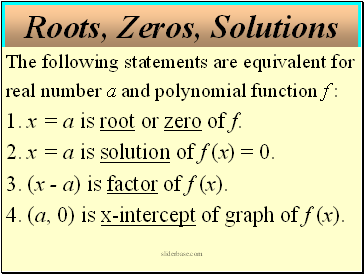 1. x = a is root or zero of f.
2. x = a is solution of f (x) = 0. 3. 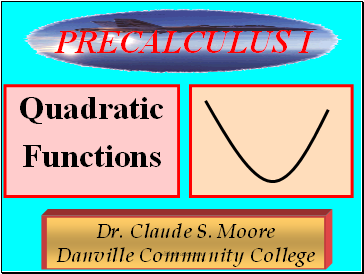 (x - a) is factor of f (x). 4. 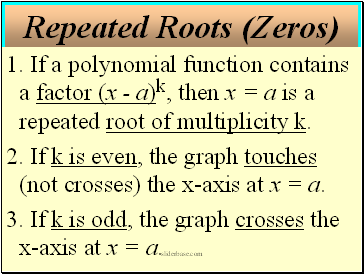 (a, 0) is x-intercept of graph of f (x). 1. 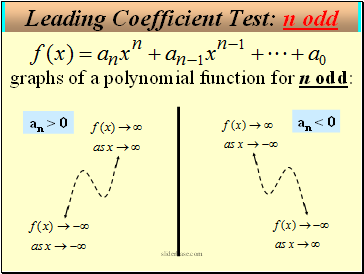 If a polynomial function contains a factor (x - a)k, then x = a is a repeated root of multiplicity k.
2. 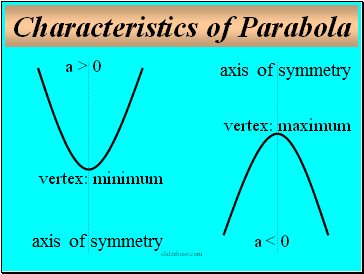 If k is even, the graph touches (not crosses) the x-axis at x = a.